What is a Capsule Endoscopy and What Purpose Does It Serve? 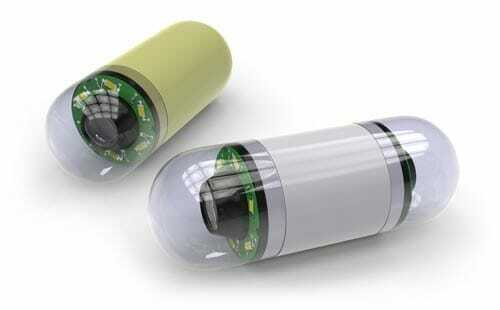 A capsule endoscopy involves swallowing a tiny, wireless camera inside a pill-sized capsule. It can help identify the cause of gastrointestinal bleeding, diagnose inflammatory bowel diseases including Crohn’s, monitor gluten response and diagnose celiac disease, and screen for polyps, tumors, and cancers. The camera communicates with a belt recorder around your waist and transmits image data of your digestive tract. The capsule endoscopy can give your doctor images of the small intestine, which is an area not readily accessible through other scoping procedures. The purpose is to identify issues or abnormalities so your doctor can diagnose your symptoms and provide you with the best treatment options. Before a capsule endoscopy, we may provide you with specific dietary instructions, laxatives to cleanse the small intestine, exercise restrictions, and/or any temporary adjustments to your medication to ensure there is no interference with the camera or the quality of images it takes. When you arrive for your capsule endoscopy, we’ll begin by setting up the connectivity between the belt recorder and the capsule. Then we’ll ask you to swallow the capsule with water, much like swallowing any pill. You will be able to resume normal eating and drinking after 2-8 hours. The capsule endoscopy procedure is complete after 8 hours or when you expel the capsule after a bowel movement. If you don’t notice the capsule within a week of swallowing it, please contact us. After the procedure is complete, you can resume normal activities and diet. Your doctor will follow up with you to discuss your exam results, determine if you need any additional exams or procedures, and provide you with instructions for returning the belt recorder.